Does Sitting too Close to the TV Actually Ruin Your Eyes? 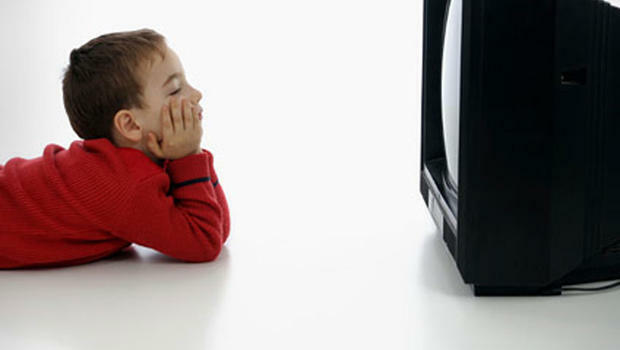 I am sure your parents have said to you a million times when you were a child, “do not sit so close to the TV, it will ruin your eyes!” Of course you had to accept your parents demand, but is this common claim actually true? When the TV was first invented and became a regular household item, parents were concerned for their children’s eyesight, and that was actually for good reason. These television sets emitted levels of radiation, which, over extended exposure, could increase the risk of eye problems. Now a day, televisions are built to avoid any radiation, so this is no longer a problem. So why are parents still saying that sitting close to a TV can cause eye problems? Well, some people are skeptic over harmful emissions still coming from the TV. Another perspective is from a controversial study of Alaskan Eskimos done in the 1960s. This study showed that nearsightedness was more common in the younger generations of Eskimos, or the generations who had been exposed to modern civilization. This led many experts to claim that environmental factors affect our vision, like watching too much television, staring at a computer or cell phone screen. So, there is no connection between TV and permanent eye damage or nearsightedness yet, but it is proven that staring at screens does cause eyestrain. Eyestrain is only a temporary condition, and can be fixed easily. Eyestrain can cause headaches, tearing, dry eyes, light sensitivity, and many others symptoms. To get rid of the strain and fatigue, simply just rest you eyes. To avoid straining your eyes from screens, give your eyes a few minutes of a break every once and a while, by taking them off any TV, phone, or laptop screen. After researching, I was surprised to find a lack of information on if technology has really caused nearsightedness to increase, but in a few years, I am sure this will be possible to prove. Kids begin using electronics earlier and earlier, and this might be the proof scientists need in order to figure out technology’s affects on eyesight. This entry was posted in Uncategorized on September 16, 2015 by Isabelle Torhus. I can completely relate to this blog. When I was younger, I would always get yelled at for sitting too close to the Television and having my computer screen too close to my face. I still do it though. Before I fall asleep I lay in bed and watch an episode of Netflix and the computer screen is so close to my face. I can’t help it. Also, if I am taking a test online for a long period of time, I find it hard to look at the screen and need to rest my eyes. I never knew why that happened. It is good to know that I am not damaging my eyes, it is just a temporarily effect. My mom would yell at me all the time when I was younger that I was sitting to close to the TV and would hurt my eyes. As I’ve gotten older I’ve become really nearsighted. It’s really hard for me to see distance and I honestly believe it has to do with all the technology we were exposed to at such a young age. I’m really surprised that they’ve found that technology correlates with nearsightedness but no concrete evidence. By now I would have thought it would have been a proven thing.